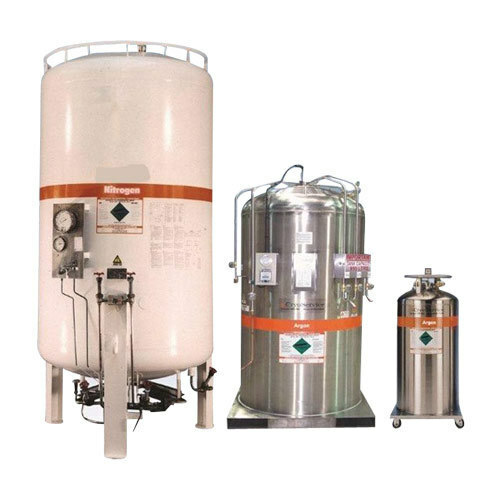 Our organization is providing the clients a noble element in the form of Liquid Argon. It is sourced from well-established vendors of the market. It is a non reactive gas and has very stable chemical properties. The physical characteristics of argon include tasteless, odorless, colorless, non-corrosive, nonflammable and extremely cold nature. It belongs to the family of inert gases and is commonly stored and transported as a liquid for convenient transportation. Welcome to Monarch Gases & Equipments, A leading player in the business of industrial gases and chemicals since 1995, Monarch Gases & Equipments supplies a variety of commercial grade gases, ultra purity gases, industrial gases, calibration gas mixtures and specialty gases, with Liquid Nitrogen, Argon, Helium, oxygen, & Carbon Di Oxide gases by road transport cryogenic tankers. A vast distribution mechanism involving across Gujarat & India helps Monarch Gases & Equipments cater to over 100 reputed clients. With customer satisfaction as its prime focus, A commitment to quality and safety has enabled the company to make rapid strides in the field of industrial gases, Liquid gases and chemicals with our Nitrogen Purging / Pigging / Pneumatic testing job services.